Prestigious design apartment on Tverskaya Street, house 6, capacity of 7 people. 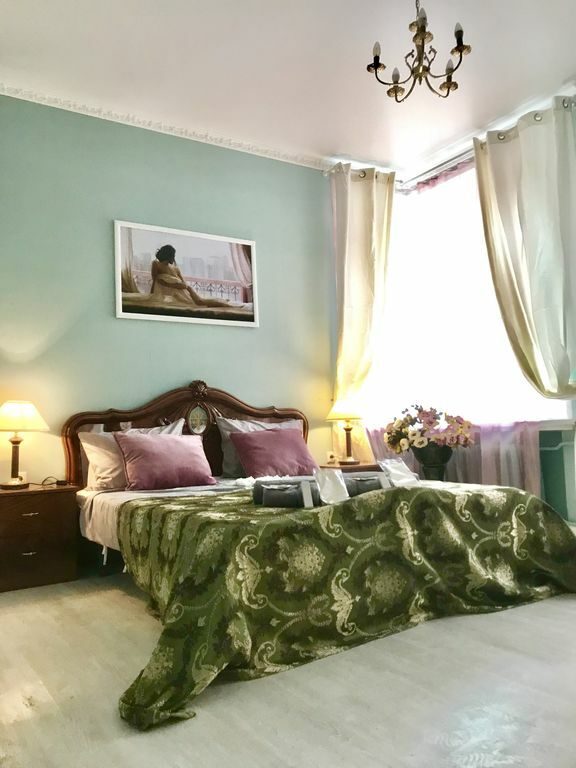 Located in the heart of Moscow in a 2-minute walk from Red Square, Manegnaya Square and the Kremlin. The apartment consists of 2 bedrooms, a kitchen and a bathroom, the bedrooms are air-conditioned. Guests enjoy free Wi-Fi 5G 200mb / second, a flat-screen TV with satellite channels and a balcony. The apartment consists of a fully equipped kitchen: refrigerator, toaster, coffee maker, electric kettle, microwave. Disposable slippers, shampoo, gel and soap, towels and high-quality linen are provided to guests. The windows overlook a quiet courtyard with free parking, the nearest metro station Okhotny Ryad is 4 minutes walk. 3rd floor, elevator and garbage disposal on the floor. There is plenty of storage space for clothing. The Bolshoi Theater is 600 meters from the apartment, and the State Historical Museum is 5 minutes away. TC GUM and Lenin's Mausoleum are also 5 minutes away.